Krystal Monterrey is a 4* hotel located in Monterrey-Downtown, Mexico. It features 207 rooms and swimming pools. 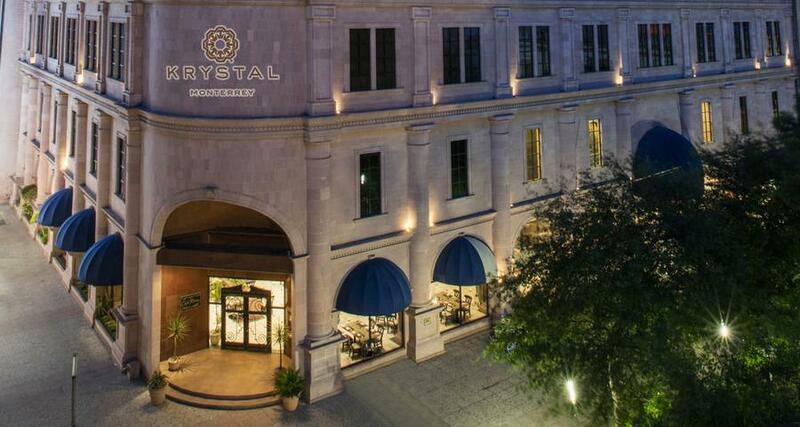 The Krystal Monterrey hotel is famous for its ornate architecture, nine-story glass facade and pink stone arches. Each modern guestroom comes with executive features like a desk, ergonomic chairs and wireless Internet access. Located within the historic center of Monterrey, it offers easy access to the city's museums, shops and both private and public offices. Onsite facilities include an indoor swimming pool, a gymnasium, business center, restaurant and lobby bar along with four function rooms. Enjoy a productive stay in Monterrey when you choose this smoke-free hotel.